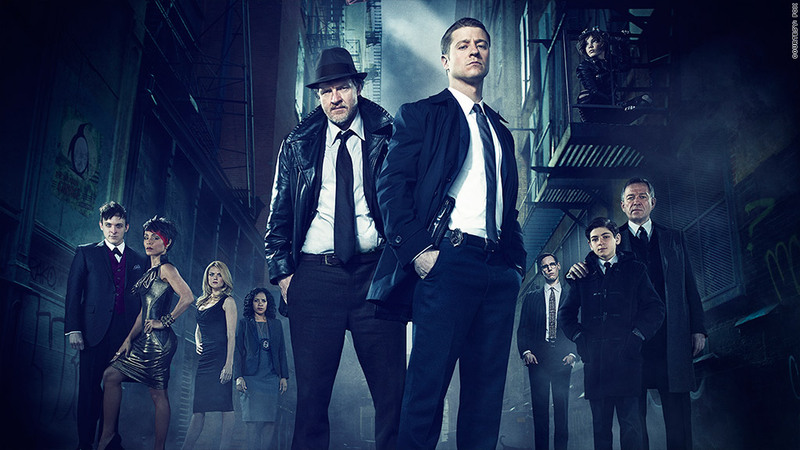 Fox's "Gotham" lived up to the hype even without Batman bringing in an impressive debut. With almost a month in the books, the new TV season seems to have birthed at least a few new hits. Yet, thanks to evolving ratings systems and the NFL disrupting Thursday nights, fall TV's grade will be incomplete for a while. 1. Network TV is still able to launch big new franchises: The reports of network TV's death are, as always, greatly exaggerated. Yes, the broadcasters are having to adapt to ever-tougher competition, but new shows like ABC's "Black-ish" and CBS's "Scorpion" garnered sizable debuts in September while favorites like NBC's "The Blacklist" returned to big numbers. And the first episode of Fox's "Gotham" -- arguably the most hyped show of the fall -- reached 16 million viewers through live, on-demand and online viewing. So while audiences are watching in new ways, they're still watching -- giving network executives some reasons to be optimistic. In fact, ABC has already ordered full seasons of "Black-ish" and "How to Get Away With Murder," and Fox has done the same for "Gotham." 2. Nothing funny about comedy ratings: "Black-ish," which has the enviable post-"Modern Family" time slot, is growing, but a number of other new comedies are sinking fast. Fox's hospital dramedy, "Red Band Society" got a big DVR boost (82% among 18- to 49-year-olds!) but it may not recover from its anemic opening (4 million total viewers). Other freshmen on the TV chopping block are ABC's "Selfie," which has failed to go viral, ABC's "Manhattan Love Story," Fox's "Mulaney," and NBC's "A to Z." Returning favorites like Fox's "New Girl" and "The Mindy Project" are also down from last year (to be fair, they didn't get much help from their dismally rated lead-in, Fox's experimental reality show "Utopia"). "The Big Bang Theory," on the other hand, looks to be worth every penny CBS spent negotiating a new contract with its stars. The nerdy sitcom -- which reportedly pays Johnny Galecki, Kaley Cuoco, and Jim Parsons $1 million per episode -- brought in 17 million viewers for its 8th season debut, which moved from Thursday to Monday due to "Thursday Night Football." 3. ABC's ShondaLand Thursdays is finding success against the NFL: How do CBS's rivals respond to "Thursday Night Football" attracting 15+ million viewers on one of the week's biggest nights? Well, if you're ABC, you give the night over to ShondaLand. ShondaLand, the production company of producer Shonda Rhimes, takes up ABC's Thursday night lineup with three melodramas: "Grey's Anatomy," "Scandal" and the brand new "How to Get Away with Murder." "Murder" premiered with a huge overnight rating -- 14 million viewers -- and gained almost 7 million more through DVR playback. 4. Ratings are continuing to evolve: Before Nielsen's embarrassing glitch last Friday, the biggest ratings story of the season had to do with delayed-viewing ratings slowly becoming the standard. All of the networks want to be judged not on their overnight performance, but on the totality of overnight and on-demand viewing. The current standard is live-plus-three-days, so three days of DVR playback is counted. CBS and other networks want the standard to become live-plus-seven-days.